For January, I was assigned Jamie’s blog, Our Eating Habits, which made me happy because her blog seems to have a little of everything so it was really just trying to figure out what type of thing I wanted to make and then choosing from there. 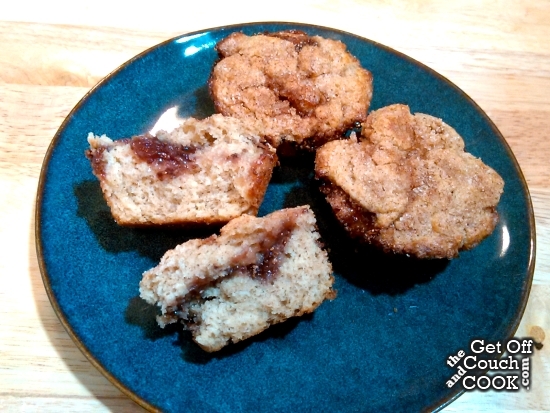 Because she has so many baked goods, I decided I need to go that route for a change around here so ultimately ended up choosing her Raspberry Jam Cinnamon Muffins. I made a good choice! 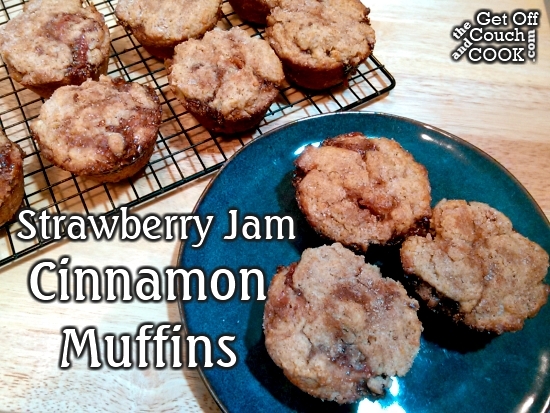 I didn’t have raspberry jam, though, so used strawberry which paired really well with the cinnamon in the batter. The jam I used was a little thin, though, so when these baked, I had a lot of baked-on jam-juice on top of the muffin tin. That just meant I had to loosen the muffins with a knife first. I can definitely see making these with different kinds of filling as the batter seems to be pretty versatile. I have apricot and blueberry unopened in the pantry so there are 2 more choices right off the bat! Oh! And she covered my blog last year as part of the Secret Recipe Club! 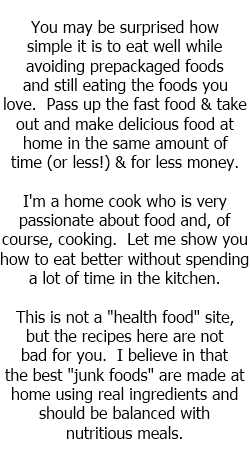 🙂 (even though she got my name wrong LOL) I will certainly be visiting her blog and making more of her recipes because there are SO MANY good things there! Preheat the oven to 400º. Spray a 12-muffin tin with nonstick cooking spray and set aside. In a large bowl, whisk together the buttermilk, egg, melted butter and 1/2 cup sugar until well combined. Set aside. In a medium bowl, stir together the flour, baking powder, 1 tsp cinnamon and salt. Pour the flour mixture into the buttermilk mixture and stir gently just until combined. The batter will be thick and lumpy. Divide 2/3 of the batter between the 12 muffin cups, putting about 1 Tbsp of batter into each. Scoop 2 tsp of jam into the center of each muffin cup. If your jam is thinner, you may want to reduce it to 1 – 1 1/2 tsp. Divide the remaining 1/3 of the batter equally on top of the jam. Use your fingers to gently spread the batter over the jam, making sure as much jam as possible is covered. In a small bowl, mix together the 1 Tbsp sugar and 1/4 tsp cinnamon. Sprinkle evenly over the top of the muffins. Bake for 15-20 minutes until toothpick inserted in center comes out clean. 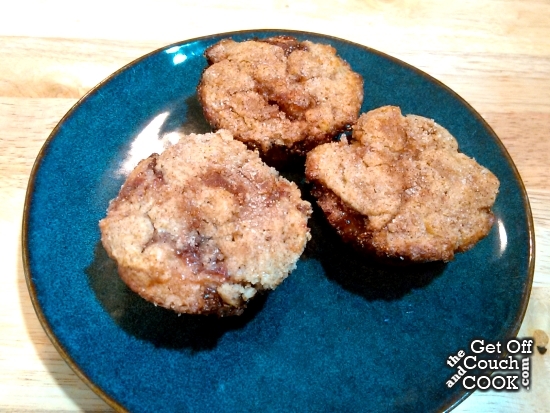 Let muffins rest for 5 minutes in the muffin tin then use a butter knife to loosen the sides of the muffin cups. Invert the tin over a baking rack to release the muffins. Let cool for a few minutes before eating warm. If eating these later, let them cool completely before storing in an air tight container. I love a good homemade muffin! I’m so glad to be part of SRC starting this month! Whoops! Did I get your name wrong! That will be corrected, so sorry 🙂 So glad you enjoyed the muffins. I will be making a batch with Apricot just around the corner here. Thanks for the lovely right up ! I do love a good muffin. Just the right amount of sweet. And filling them with Jam – excellent! My kids would love these muffins. I love the versatility! I enjoyed having you as my assignment this month and made your chocolate peanut granola bars!